Leaving Cert student Rebecca Carter has received and accepted an offer for a place on a veterinary medicine course in UCD. Earlier today, Ms Carter - who starts her course next Monday - was told that her appeal has been successful and her marks have been upgraded. Ms Carter won her High Court case this week to get a marking mistake fixed in time for her to go to university to study veterinary medicine in UCD. 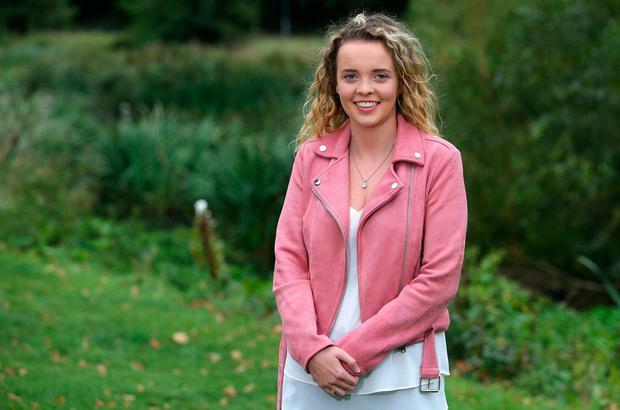 The teenager, of Castlebridge in Wexford, has wanted to be a vet for as long as she can remember, but an exam points blunder put her place on the University College Dublin (UCD) course in jeopardy. Ms Carter never thought the case would have to go all the way to the High Court. "We thought it was a simple adding up error that could be corrected in the space of minutes," she told Independent.ie yesterday. "I am extremely grateful that my parents were so supportive throughout everything. "They backed me from start to finish." All going well, she will today be finally allocated her place, allowing her to start on Monday, three weeks into the course. "It's OK, it's better than waiting a year," she said. Ms Carter discovered that her Leaving Cert marks had been wrongly totted up by an examiner. She brought High Court proceedings against the State Examination Commission (SEC) over its decision not to recheck her results before mid-October, effectively costing her a place in UCD, which decides its student allocation at the end of September. A thumbs-up from one of the barristers in her case on Wednesday was the signal she had hoped for. The case had gone her way. Mr Justice Richard Humphreys said he would direct the SEC to carry out the necessary corrections to her exam paper and notify UCD of the results two hours later. "I am just so happy, now I can finally put everything behind me and hopefully start on Monday morning," said Ms Carter. "The last year has been extremely tough, especially the last few weeks. I have never celebrated my results." Ms Carter initially believed she had achieved 554 points in the Leaving Cert - but if the error hadn't occurred, it would have been 566 points. The judge said it was an "extremely high mark that would easily have qualified her for a place on the UCD course". It's expected her place will formally be offered to her on the veterinary medicine course today. UCD Students' Union, which has commended her "bravery and determination", plans to welcome her next week. "We have a family little party organised for Saturday if all goes well," she said. Ms Carter, who will be 20 in November, was delighted the outcome of her case could potentially help others. "With all this media, they can see there are flaws that need to be fixed, because students put so much time and effort in the last two years of secondary school, and then when you turn around and if you don't get your chosen course or the points you need, it is extremely disappointing," she said.